Our family is no stranger to psoriasis. I suffer from it, Tripp has it on about 30 percent of his body, and Zack gets it on his head. Although we’ve tried dozens of home remedies and treatments for psoriasis, one of our favorite natural remedies for psoriasis is essential oils. Essential oils act like mild medication for the condition, soothing redness, reducing itchiness, and hydrating the skin. If your family also suffers from psoriasis, try our essential recipe for treating psoriasis and get relief fast! 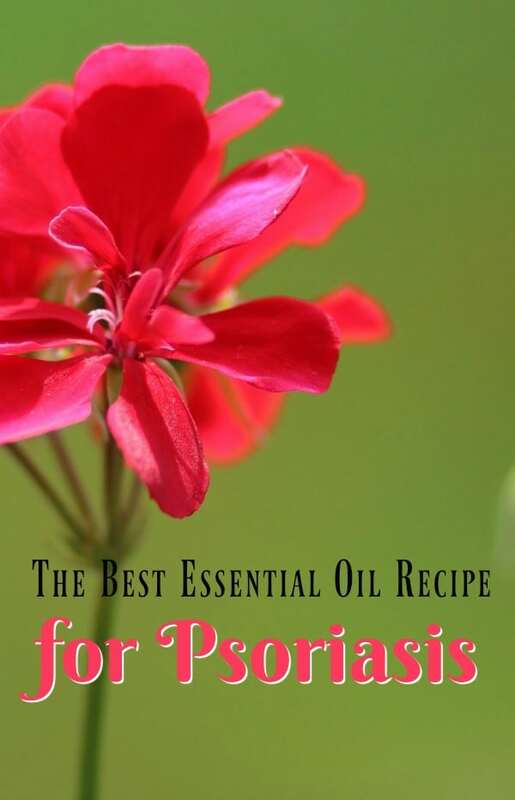 I was skeptical that essential oils could help relieve psoriasis before, but after trying this recipe, I was convinced it can make a difference. When we use this essential oil recipe, our psoriasis is milder and clears faster without leaving unsightly scars or scabs. According to a review conduced by Healthline, the following essential oils work best in relieving symptoms of psoriasis. Geranium oil reduces inflammation on the skin and helps to relieve stress (which can trigger outbreaks). Lavender oil relieves pain and itching and prevents the skin from getting infected. Tea tree oil reduces inflammation and prevents infection. Peppermint oil reduces itching and provides a cooling feeling. Fractionated coconut oil hydrates the skin and relieves dryness. A mix of these oils will provide soothing, healing relief when treating psoriasis. Add the geranium oil, lavender oil, tea tree oil, and peppermint essential oil to a 5 ml glass amber bottle. Fill the rest of the bottle up with fractionated coconut oil. Place the lid on tightly and shake to mix the oils. When a psoriasis outbreak hits, rub directly into the affected area several times a day until the patches heal completely. 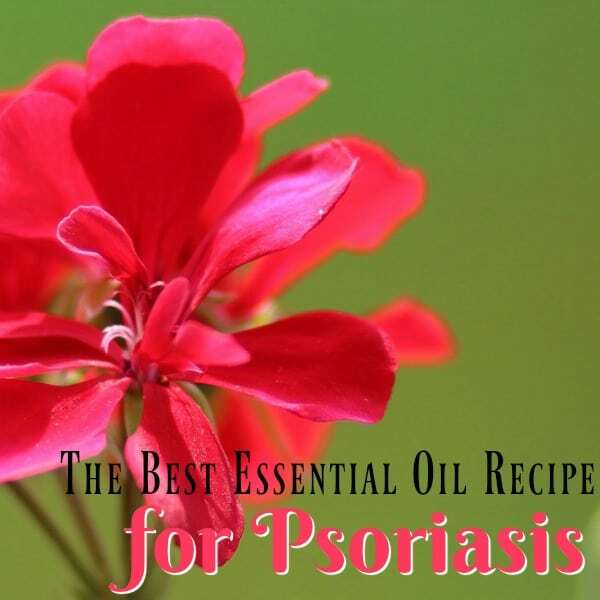 I am so happy to have found this essential oil recipe for treating psoriasis. My family and I have spent much less time with dry, itchy skin since we found this recipe. If you or someone in your family also suffers from psoriasis, try this treatment today! This recipe is safe for adults and children over the age of 2. If this looks like way too many ingredients, don’t fret. We also love our DIY Healing All Over Body Butter Recipe. So, am I correct that this makes about a teaspoon. Am confused though because you suggest a 5 ml bottle and I can’t picture that small of a bottle.